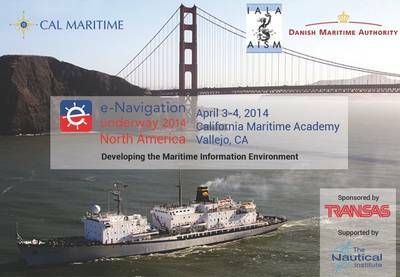 The Maritime Alliance draws attention to the upcoming 'e-Navigation Underway 2014 North America: Developing the Maritime Information Environment' which is an inaugural conference. 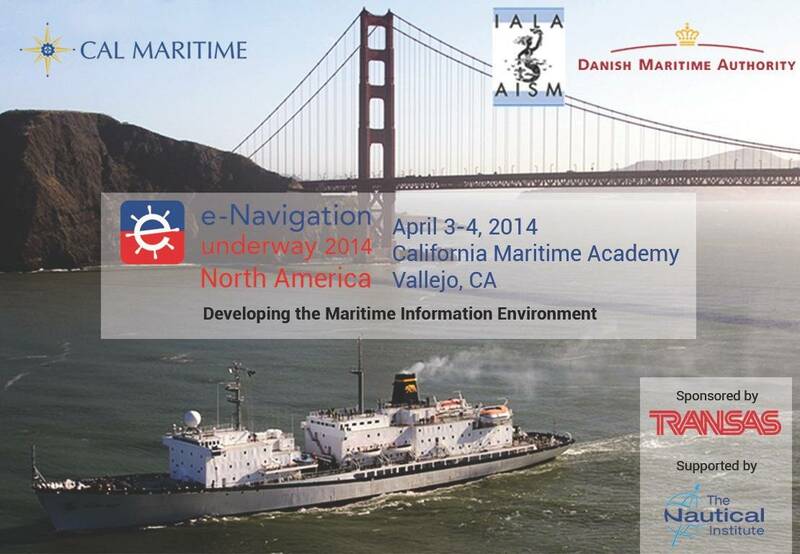 3-4 April 2014, hosted and managed by Cal Maritime in close cooperation with IALA and the Danish Maritime Authority as a regional version of the international "e-Navigation Underway". Provide a summary of international and national governmental developments and plans. Provide information about ongoing e-Navigation initiatives and test bed activities, to stimulate thought about their applicability to North American issues. Explore specific areas affecting e-Navigation to identify steps which should be taken to insure the system can function effectively. All conference activities other than the spouse program and post-conference wine tour will be held on the campus grounds of the California Maritime Academy, 200 Maritime Academy Drive, Vallejo, CA, 94590, USA. The university is located on the northeastern shores of the San Francisco Bay, approximately 45 minutes driving time from downtown San Francisco.